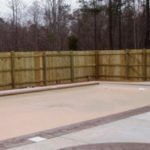 Offering Raleigh pool fences, pool fencing, safety and privacy swimming pool fences for all of the triangle including Durham, Chapel Hill and Cary. 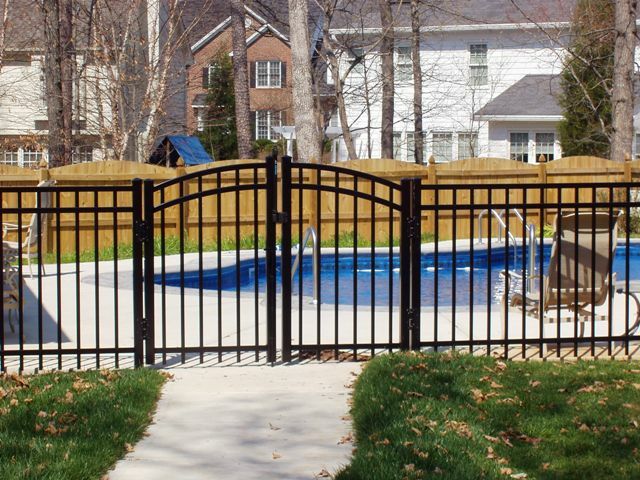 By placing a fence around your backyard swimming pool, you can rest better knowing that you have put safety measures in place to prevent your family and friends from becoming one of the tragedies that occurs each year in backyard swimming pools. 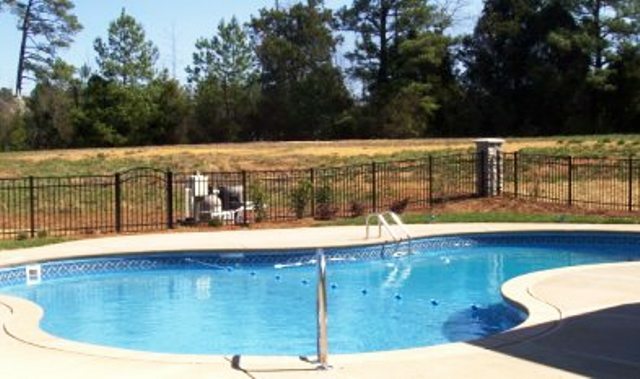 Whether you need an above-ground pool fence, in-ground pool fences or a pool privacy fence, we’ll customize a solution to fit your needs. 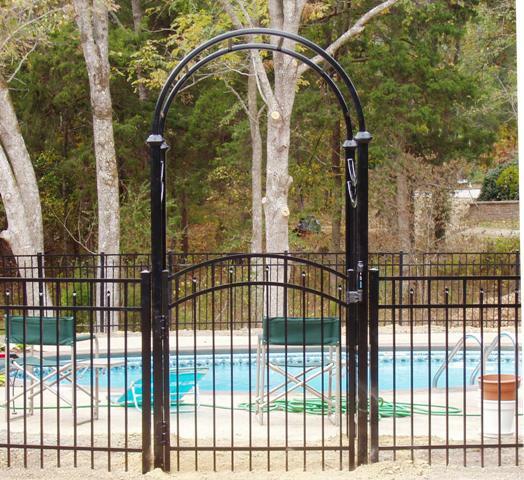 Our ornamental aluminum pool fence is our most popular solution and helps prevent a child from unknowingly entering a pool. 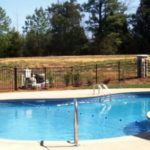 Owner of Rome Fence Co., Kevin Rome, is a father himself and takes the importance of providing a durable well constructed pool fence seriously. 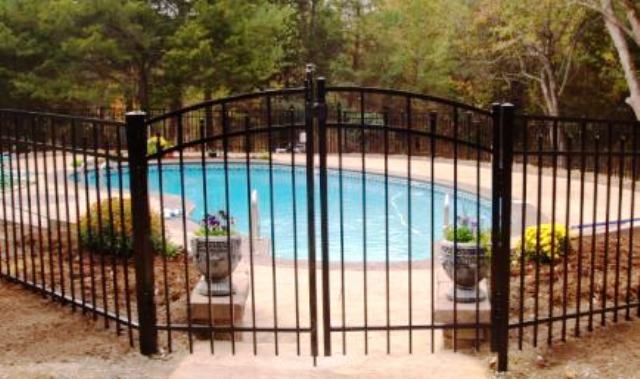 Kevin is on the job each and every day, supervising his team, to ensure that every screw, post and gate is constructed properly. 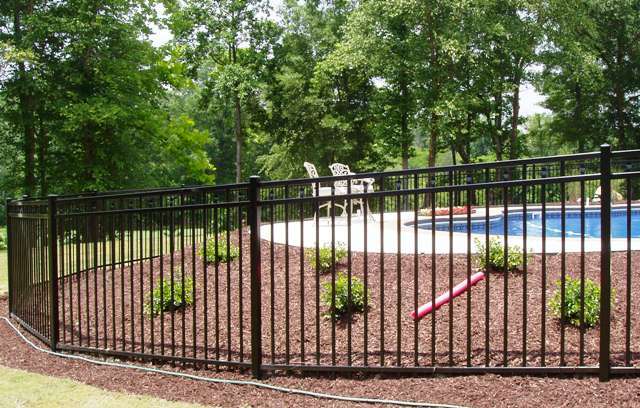 This not only ensures your fence will last a long time but also that your fence will stand up to children pushing or playing near the fence. 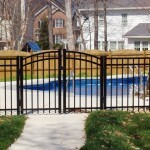 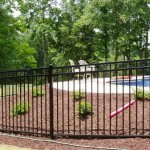 Pool fence safety is the primary concern, howevery you also want your fence to look nice and complement your landscape. 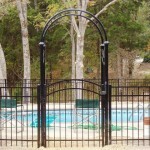 We provide ornamental aluminum fencing so your pool is not only safe, but looks good as well. 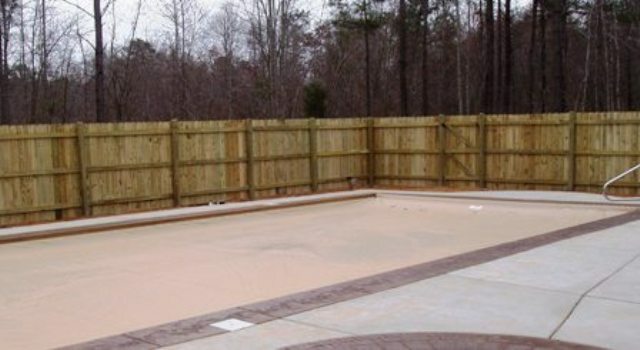 Our Raleigh fence company can also provide wood pool fences that will create the privacy you desire. 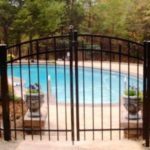 Contact us for a free on-site consultation and quote to find out why Rome Fence Co. has been providing “A Better Built Fence” since 1997.